Today Gmail Labs released a new feature that bridges the gap between desktop and web-based applications like never before: Offline Gmail. You can now access your Gmail from your browser any time, whether or not you're online. Offline Gmail uses Google Gears to download all of your email to your desktop (every last gigabyte). Using Gmail in offline mode is exactly the same as using it normally—except that when offline mode is enabled in your browser, Gmail is that much faster. [Gmail]uses the local cache as if you were disconnected, but still synchronizes your mail with the server in the background. Our goal is to provide nearly the same browser-based Gmail experience whether you're using the data cached on your computer or talking directly to the server. The upshot to flaky connection mode is that your computer doesn't have to hit Google's servers to access old emails, which generally will mean a faster, more responsive inbox. I've been using Offline Gmail for a few months now, and I noticed the speed differences immediately. It takes a while for Gears to download all of your old email, naturally, but once it has, it keeps your offline cache in sync with your online email pretty seamlessly. 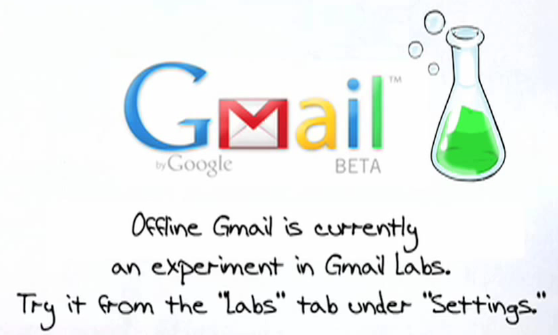 Check the offline Gmail FAQ for more, and if you give it a try, let's hear how it's working for you in the comments. You know what would be great? If google would stop being lame and release themes for their gApps. Normal gmail has had themes for a while, why not gApps? Any chance of the lifehacker staff getting more info on an ETA for themes in gApps? This service is not yet available to Australian Gmail users. Looking forward to when it is. I'm not seeing this option on my labs tab (language is set to English(UK)) - any ideas why it might not be an option open to me? I see it now in my Aussie gmail account. Sweet! Why no support for Opera?